Looking For People to Join the Mass Deliverance Effort – Super Bowl Game! Posted by pattythomas513 in We Need YOUR Help! ≈ Comments Off on Looking For People to Join the Mass Deliverance Effort – Super Bowl Game! Last year, The Lord’s Peace Descended over the game! Several of us saw Him and His Angels Present in the stadium. Will you join in the prayers of deliverance over the crowds, the people who are watching, and those caught in human/sexual trafficking worldwide? God IS Answering these prayers! FOR GOD AND HIS KINGDOM! Deliverance information is available in the Super Bowl Prayer Guide. You will be able to use this guide in many situations! Also download for free, the app that lets you read the book on any device, or in the Amazon Cloud. It’s right on the page to order the book! FINALLY! Now Available! $4.99 Amazon.com – Super Bowl Prayer Party Prayer Guide – Get it Instantly – for ANY Device! ≈ Comments Off on FINALLY! Now Available! 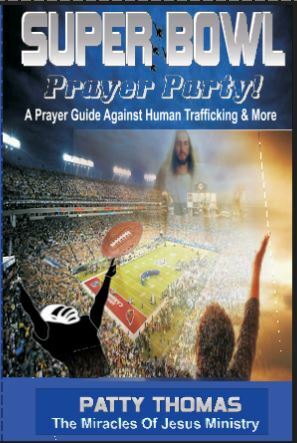 $4.99 Amazon.com – Super Bowl Prayer Party Prayer Guide – Get it Instantly – for ANY Device! It’s finally available on Amazon – right at the last minute! 1. You pay for and download the book. 2. You download their app that makes the book readable on computers, hand held devices, phones and more! Holy, Heavenly Father, we come to you with hearts that are heavy. We seek you, in humility before You, and Your Help. In these great and sore troubles Lord, we ask You to Answer our prayers. We need You, Lord. Send forth Thy Help! We will shout for joy and rejoice in Thy Victory, and in The Name of our God we will set up our standards; Lord Fulfil all our petitions. Answer us from Your Holy Heaven with The Mighty Acts of Your Saving Right Hand. Deliver us O Lord, from the enemies that compass us about. Father, we ask You to Deliver us from our enemies. Deliver the people caught in human trafficking, especially Father, the children, from those who oppress and use them against their will. Father, we remind You of Your Word that Says You Will Deliver us from our enemies. Deliver these people caught in human trafficking, Father! Deliver them as only You Can Do! Send Your Mighty Warring Angels, Father! Assign them to Set the captives free! God, Deliver these children and adults who have been forced into sexual slavery! 1 Chronicles 16:35 And say ye, Save us, O God of our salvation, and gather us together, and deliver us from the heathen, that we may give thanks to thy holy name, and glory in thy praise. Father Almighty, Blessed Be Your Holy Name! Take the enemies captive! Cause them to be caught in their activities. Lord, Walk in the midst of the enemy’s camp, and Deliver these children from their captors! Deliver the adults who have been kidnapped, abducted, drugged and treated as slaves! Deuteronomy 23:14 For the LORD thy God walketh in the midst of thy camp, to deliver thee, and to give up thine enemies before thee; therefore shall thy camp be holy: that he see no unclean thing in thee, and turn away from thee. Lord, Deliver the enemies into the hands of those they have held captive! Send your angels to arrest them in the Spirit, that they cannot escape! You Hold every cell of their being, Lord! Send the authorities to intervene and properly adjudicate the situations and the crimes according to Thy Holy Will! Joshua 21:44 And the LORD gave them rest round about, according to all that he sware unto their fathers: and there stood not a man of all their enemies before them; the LORD delivered all their enemies into their hand. Deliver Your Children, Father from the hands of the violent men and women that cause such untold abuses to beset them. Only You, Father, Know what these children and adults endure. Deliver them from the violence perpetrated upon them. Psalm 18:48 He delivereth me from mine enemies: yea, thou liftest me up above those that rise up against me: thou hast delivered me from the violent man. Oh, Lord, Strengthen those who are subjected to sexual slavery and human trafficking! Preserve them, Keep them alive, Deliver them Lord! Psalm 41:2 The LORD will preserve him, and keep him alive; and he shall be blessed upon the earth: and thou wilt not deliver him unto the will of his enemies. Psalm 69:18 Draw nigh unto my soul, and redeem it: deliver me because of mine enemies. Hide Your children under Your Wing, Oh Lord, until these calamities be overpast! Teach them to call to You and run to You! Psalm 143:9 Deliver me, O LORD, from mine enemies: I flee unto thee to hide me. Oh, Lord, the pain and the sorrow, the discouragement and depression that those caught against their will in sexual and human trafficking are enduring! Oh, God, our hearts plead Your Mercies and Compassion for them! Give them rest, Father! Grant them Your Peace, Father! Send The Lord Holy Spirit to Surround and Hold them in His Perfect Peace, Father! 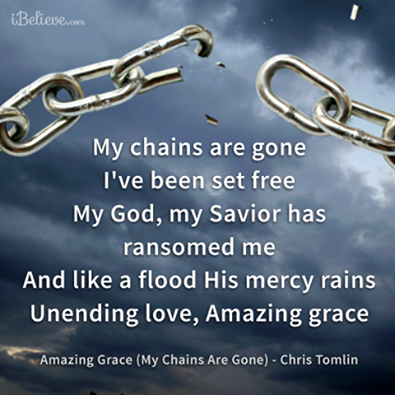 Father, Let the people held illegally and against their will start praising You in the midst of their imprisonment as did the Apostle Paul! Show Yourself STRONG in their behalf, Lord! Judges 16:24 And when the people saw him, they praised their god: for they said, Our god hath delivered into our hands our enemy, and the destroyer of our country, which slew many of us. Oh, Lord, Turn around their captivity, and Let them know that their freedom came because of You. Let them cry out to You for help, and bow before You as their Lord, Master and Savior. 1 Samuel 12:10 And they cried unto the LORD, and said, We have sinned, because we have forsaken the LORD, and have served Baalim and Ashtaroth: but now deliver us out of the hand of our enemies, and we will serve thee. Let the people You Deliver, Lord, all across this earth, give You the Glory, Honor and Praise for Setting them free! 2 Samuel 22:18 He delivered me from my strong enemy, and from them that hated me: for they were too strong for me. 2 Samuel 22:49 And that bringeth me forth from mine enemies: thou also hast lifted me up on high above them that rose up against me: thou hast delivered me from the violent men and women that hold them captive. ©Copyright, February, 2015, The Miracles Of Jesus Ministry Use is granted for use in prayer groups surrounding the Super Bowl games, but not for copying and using in prayer books or prayer guides. Father, we bring the Super Bowl event before you, asking that You Protect the peoples attending, teams, players, coaches and staff, spectators, service staff, law enforcement and any others. Father, we pray for the safety of the spectators, during their ingress and egress, and while the Super Bowl events are going on. Deuteronomy 28:1-7 And it shall come to pass, if thou shalt hearken diligently unto the voice of the Lord thy God, to observe and to do all his commandments which I command thee this day, that the Lord thy God will set thee on high above all nations of the earth: 2 And all these blessings shall come on thee, and overtake thee, if thou shalt hearken unto the voice of the Lord thy God. 3 Blessed shalt thou be in the city, and blessed shalt thou be in the field. 4 Blessed shall be the fruit of thy body, and the fruit of thy ground, and the fruit of thy cattle, the increase of thy kine, and the flocks of thy sheep. 5 Blessed shall be thy basket and thy store. 6 Blessed shalt thou be when thou comest in, and blessed shalt thou be when thou goest out. 7 The Lord shall cause thine enemies that rise up against thee to be smitten before thy face: they shall come out against thee one way, and flee before thee seven ways. Your Word Says that God is in the midst of her, she shall not be moved; God shall help her, at the approach of morning. Nations were in tumult, kingdoms were moved; He uttered His voice, the earth melted. God Is With us; the God of Jacob is our High Tower. Protect Your people everywhere they go. Protect them in their homes and workplaces, their travels and their recreational activities. Thwart the plans of the enemies, Father! Psalm 34:7 The angel of The Lord encampeth round about them that fear him, and delivereth them. Surround Your people with Your Loving Presence, and Keep them under the Shelter of Your Wing. Hide us from the enemies that come against us from all directions. Help them to be your innocent and humble children, looking to You with eyes of faith in these hours. Help us to be at peace in the midst of calamity and crisis, threats of annihilation and internal unrest. Keep us from evil, Lord, and Protect our comings and goings. Protect those attending, and those watching the Super Bowl from the evils that abound, Lord! Psalm 121:7-8 The Lord Shall Preserve thee from all evil: He Shall Preserve thy soul. The Lord Shall preserve thy going out and thy coming in from this time forth, and even for evermore. Lord! We ask that You Send Your Mighty Angels to act as adversaries against any acts of terrorism surrounding the Super Bowl! We ask that they thwart the will and the acts of the terrorists! That the Angels intervene and block any attempts at knifings, shootings, bombs, poisonings, accidents and mishaps, and other types of attacks. Numbers 22:22 And God’s anger was kindled because he went: and the angel of the Lord stood in the way for an adversary against him. Lord, Appoint Your angels to keep watch day and night. Set a watch before our lips, O Lord, that we may speak peace and not war, love and not hatred, faith and confidence in You and not fear. Grant us and all those concerned with this event, freedom from fear, Lord! Fear is NOT of you, Lord! Proverbs 3:24 When thou liest down, thou shalt not be afraid: yea, thou shalt lie down, and thy sleep shall be sweet. God. You Are our Refuge in times of trouble. Your Word Says that You Are our Refuge and Strength, a very Present Help in trouble. Therefore will we not fear, though the earth do change, and though the mountains be moved into the heart of the seas; Though the waters thereof roar and foam, though the mountains shake at the swelling thereof. There is a river, the streams whereof make glad the city of God, the holiest dwelling-place of the Most High. Father, Shelter Super Bowl , Hide her from her many enemies. Cause them to be distracted, Father. Cause their hearts to turn to You, Father. Proverbs 18:10 The Name of The Lord Is a Strong Tower: the righteous runneth into it, and is safe. Psalm 61:3 For thou hast been a shelter for me, and a strong tower from the enemy. Deuteronomy 33:12 And of Benjamin he said, The beloved of The Lord shall dwell in safety by him; and The Lord shall cover him all the day long, and he shall dwell between his shoulders. ©Copyright, February 2015, The Miracles Of Jesus Ministry ALL RIGHTS RESERVED Permission is given to use for the Super Bowl event, but not to be copied and published in prayer books or prayer guides. Join us NOW!! We are in 20 days of praise leading up to the Super Bowl Game. Just as King David sent his praise team out before the battle. Then, on Super Bowl Sunday, host a "prayer party" and pray with us against human trafficking, domestic violence and threats of terrorism, worldwide. This is our 7th year! Categories Select Category 2015 Super Bowl Prayer Party 2016 Super Bowl Prayer Party 2019 Posts And God Moved! Announcements Deliverance Human Trafficking Prayer Guides Prayers Prayers – Domestic Violence Prayers – Human Trafficking Prayers – Terrorism Recipes RESOURCES Resources For Parents Scriptures Uncategorized We Need YOUR Help! Words From The Lord!